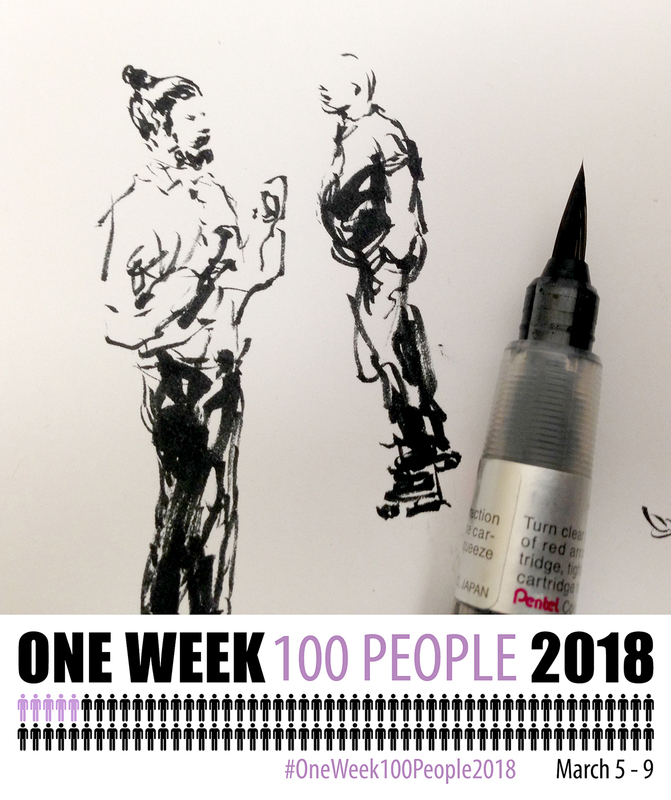 Hey Sketchers, here’s an idea for your #OneWeek100People2018 sketching marathon. Try some brush pen miniatures! I did these in our main Metro station downtown, so there was a never-ending set of people waiting for the train – and – I only had 2 minutes between each train car to capture a person. It’s a lot of fun seeing what you can do with a teensy tiny miniature. Plus, it forces you to be decisive, and, it’s really fast. You can boop them out, one after another, and you’ll find your hand-eye skills warming up. It takes me a few tries to get a zinger. But there’s always a great one in every batch of ten. 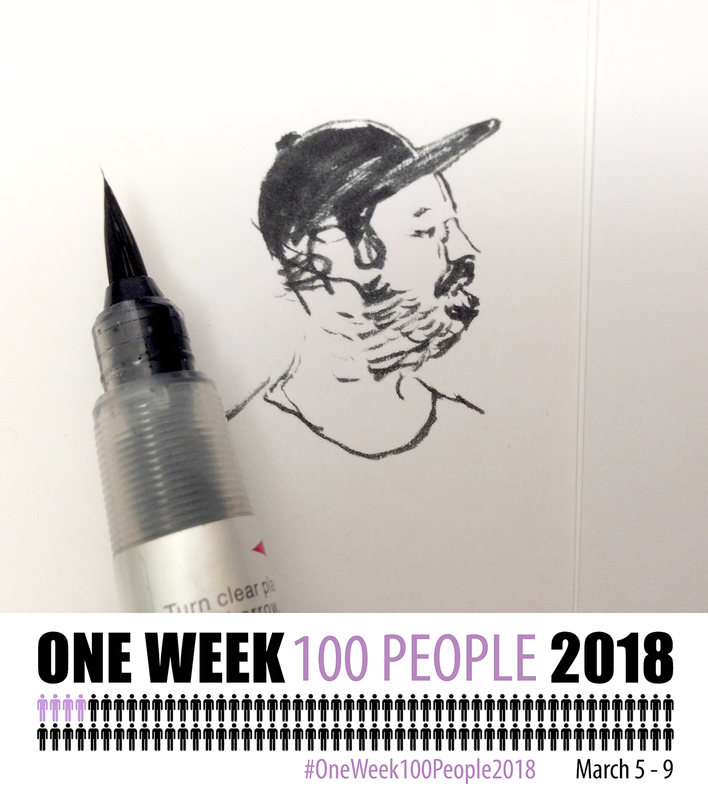 I hope you’re all getting ready for #OneWeek100People2018! ← Interview on the self-publishing process, up on Gurney Journey! 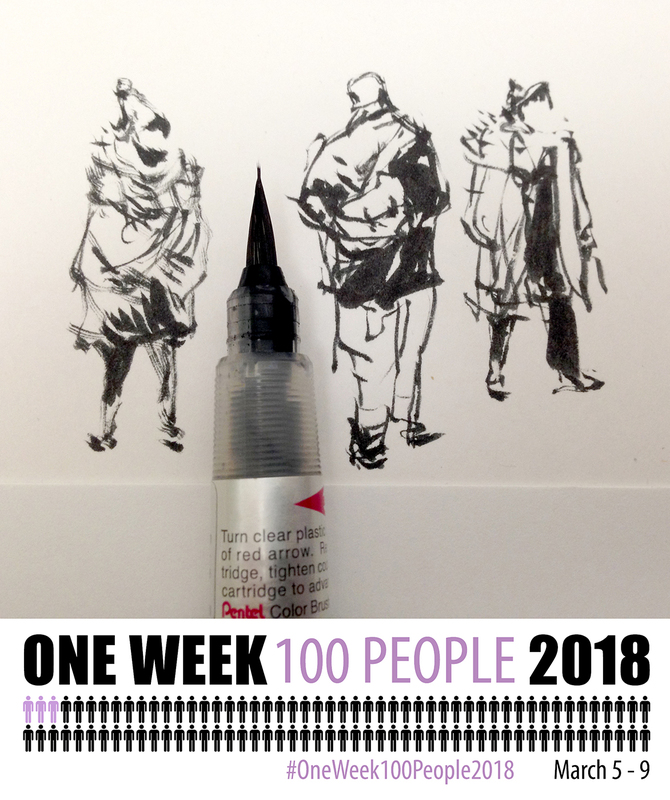 Thanks for the idea Marc….I must admit I was finding the idea a bit overwhelming,but dinky brush pen figures will definitely help me get to the goal! I’m in…love the brush pens, too. Very best to you, Rich. I’m in — and I was thinking of doing exactly that with a brush pen! :-) See you at the hashtag! Exciting! I’ll give it a try. AlloElaine , Ça te tente de faire ce défi? Je quitte demain pour val David . J’ai un rendez-vous chez le coiffeur ce matin à 9 h 30 je vais sortir de là autour de 11 h et ensuite je fait quelques courses dans le coin de Boul st- Laurent et Laurier . Si on allait prendre un café dans le coin et jaser de ce défi ou d’autres choses …. Hi Marc! An idea from Lisbon: shopping malls. There are lots of people passing by. I´ll be on Monday on Instagram. What a huge encouragement to read “one out of 10 is a zinger.” For me there is a high failure rate when sketching people on the move, but the good ones can be very good. Nice to read someone of your caliber has the same thing happen, most likely to a lesser degree. I am enjoying this challenge it forces me to use my sketch book at every opportunity and I am so pleased when I do. Your work is very inspiring and I love the loose freshness that you achieve in your sketches something that I aspire to. I am sharing it on my new instagram page, twitter and facebook it’s so wonderful to feel part of the bigger sketching world and see what everyone else is doing it spurs you on! I am a fulltime artist your book ‘The Urban Sketcher’ is a great read alongside this challenge. Lovely to hear from you Amanda – this is exactly how I feel! It’s tremendous we have this community to tap into each other for motivation and enjoyment of our art!